What? Look at 2011. 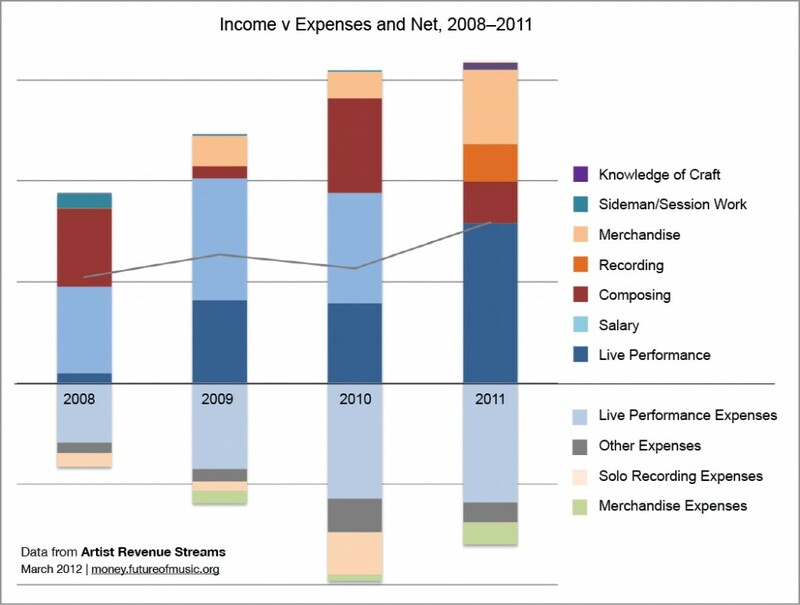 As soon as the guy stopped working for other people (getting a paycheck, being a paid worker) and went off on his own, his live performance revenue and expenses pretty much match. It seems most of his money came from everything over that, which has minimal expenses. I don't know, it's as plain as day. Are you denying what is right there in the chart?